Happy Thanksgiving everyone, I hope you have a great long weekend with friends, family, and food! If you’re interested…. Dry shampoo is all the rage – it’s so convenient and let’s you go a day or 2 without washing your hair – normally I am a wash every day kind of girl which I know is a no-no. I mean these days, I’m lucky to get a shower in let a lone proper time to shampoo and condition. Anyway, I have always found it helpful to read reviews and tips of what dry shampoo to use (dry shampoo is so expensive and therefore not something you really want to keep experimenting with) so I thought I’d pass along my thoughts on my current favorite dry shampoo. 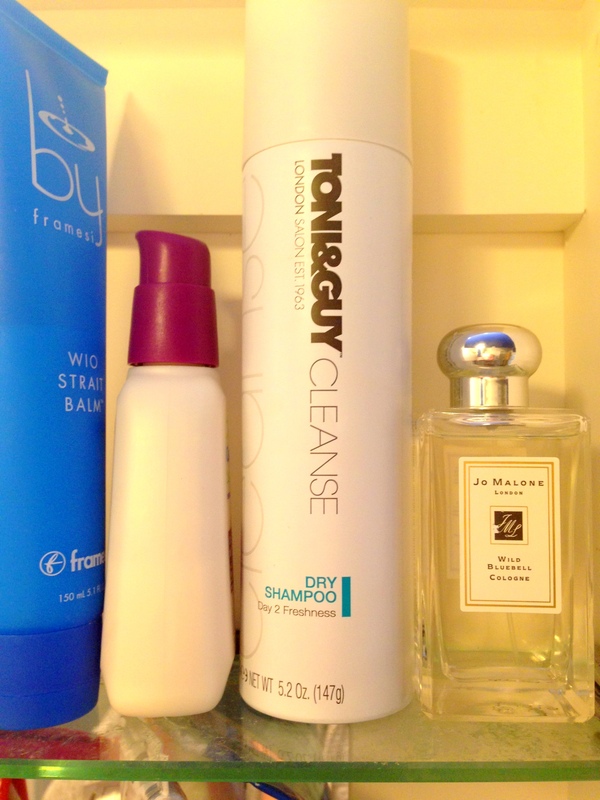 Toni & Guy Cleanse Dry Shampoo. I bought it at CVS but of course it’s available for slightly cheaper on Amazon. It smells great and really actually does what it says it does – absorbs the grease of your hair and makes it clean without washing. I tell you, this has been a Godsend for me – it’s the first dry shampoo I’ve tried that doesn’t make me feel like I need to wash my hair immediately. What dry shampoo do you use? 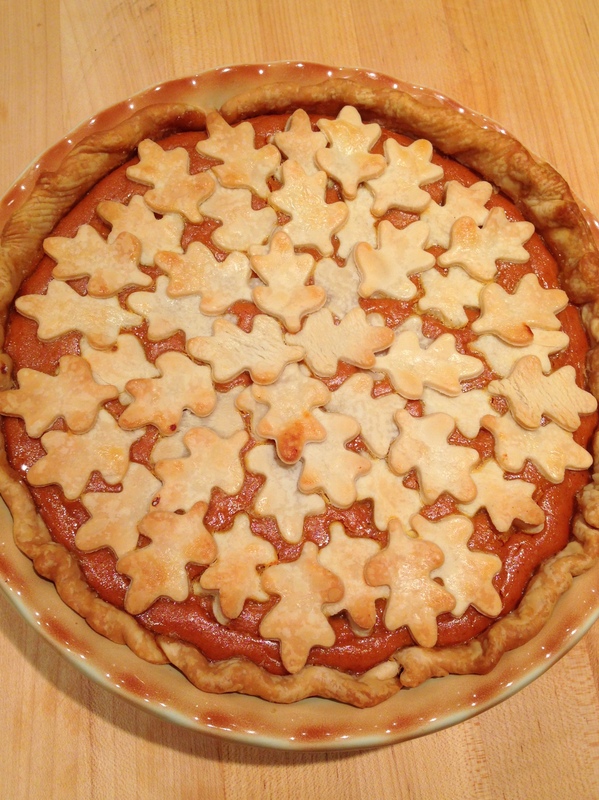 I baked the pie as usual using the recipe on the side of the can of Libby’s pumpkin. 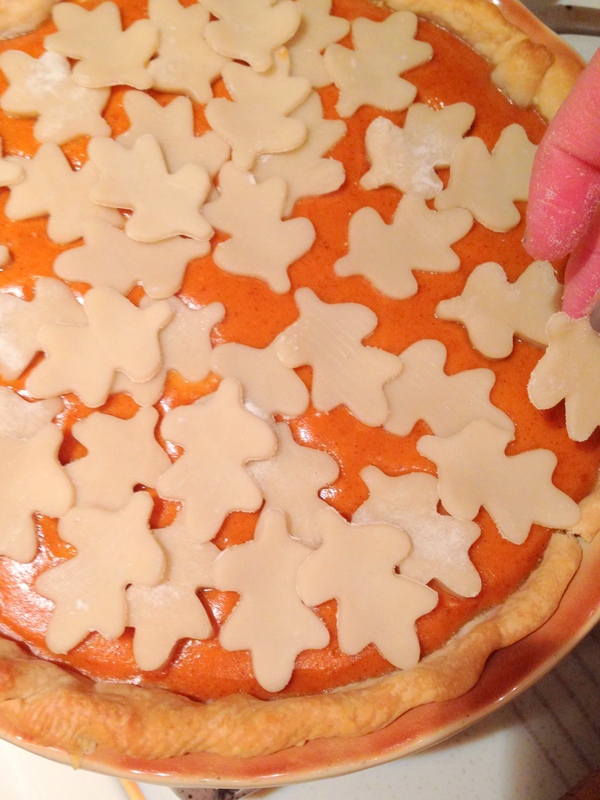 You cook a pumpkin pie at a higher temp for about 15 minutes then reduce it to cook another 40 minutes. 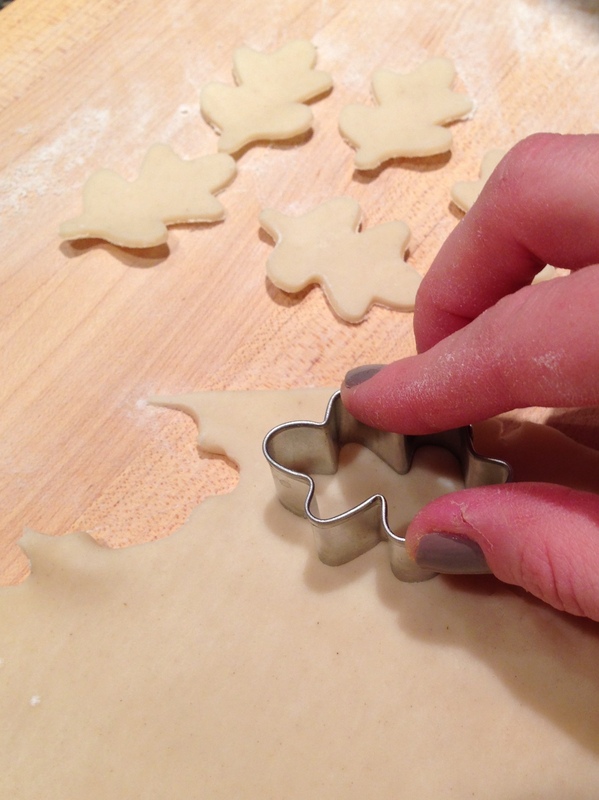 While the pie was cooking at the higher temp, I used my mini leaf cookie cutters to cut out leaves. 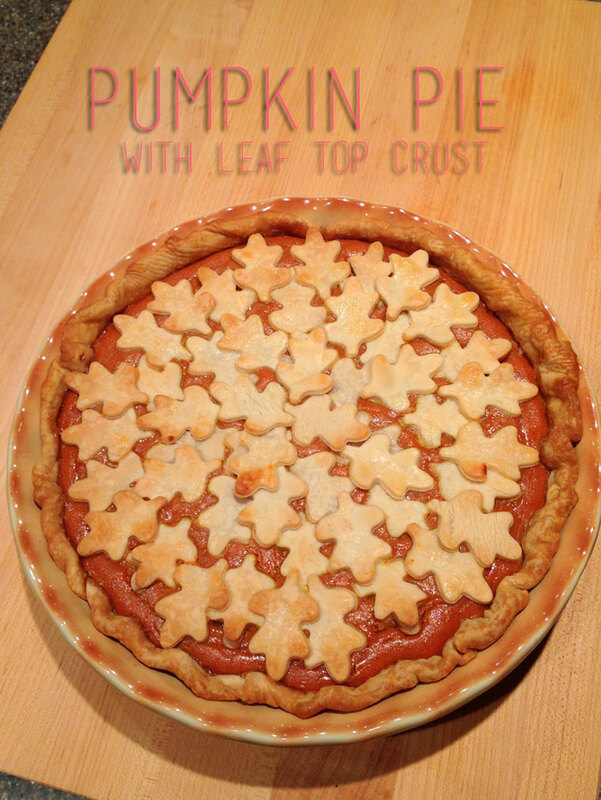 Once the pie had cooked at the higher temp and about 15 minutes at the lower temp, I took it out and arranged my leaves (you want the custard to firm up a bit to support your leaves). I arranged them to overlap a bit to get nearly full-coverage, but it’s totally up to you. 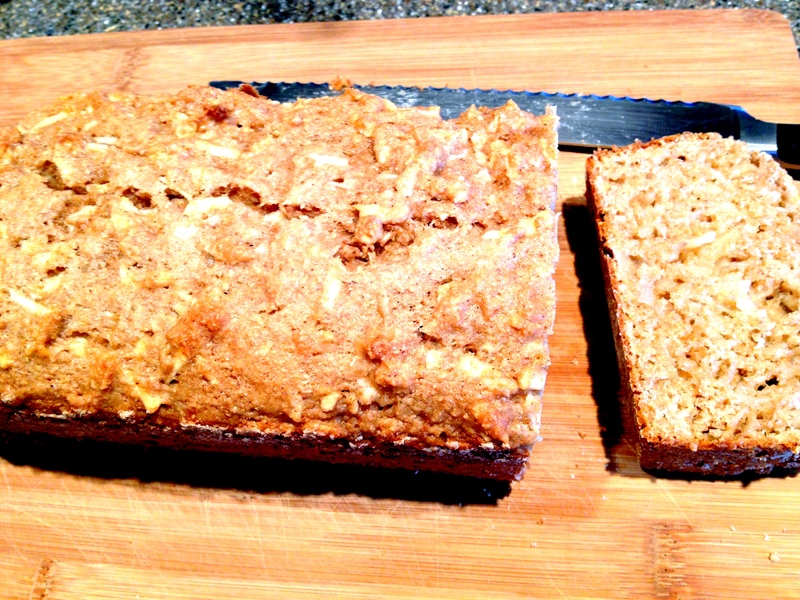 I used a little egg-wash on top to make sure it browned, too! …especially with a dollop of freshly whipped cream! 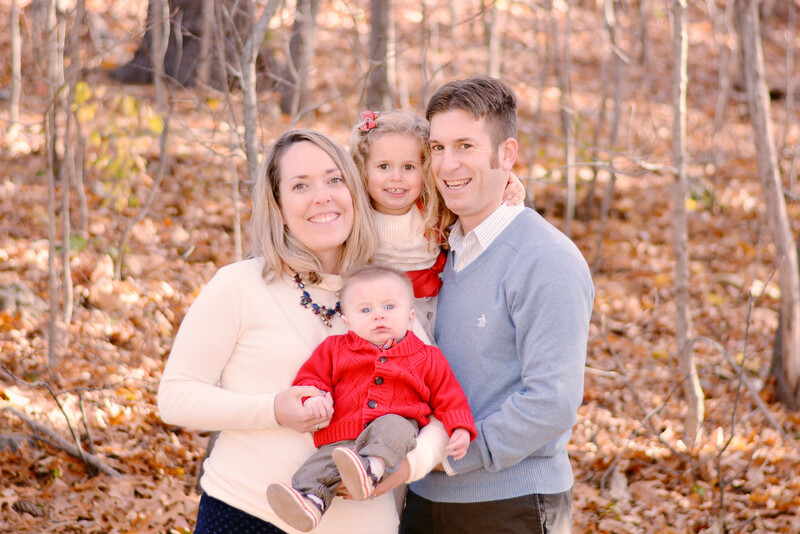 I am an avid member of the Woburn/Winchester Baby Boot Camp franchise – a fabulous way for moms to get fit! You work out in a boot camp-style class with your kids while they are strapped in their stroller (usually with tons of snacks). It’s an excellent workout and ends up being very social; the kids are all friends, the moms are all friends, you get the idea. We even go a step further and have monthly mom’s night out and play dates. 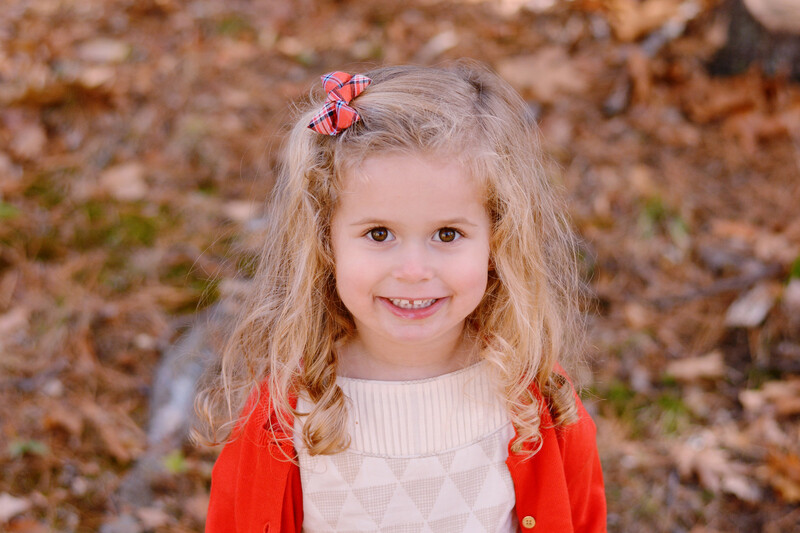 Recently, I was named Stroller Friends mom of my franchise which basically means we’ll have a formal play date each month and I will create a toddler-friendly craft. This month, in honor of Thanksgiving, I thought I’d have everyone put together a Turkey Napkin Ring and also share the how-to with you here! 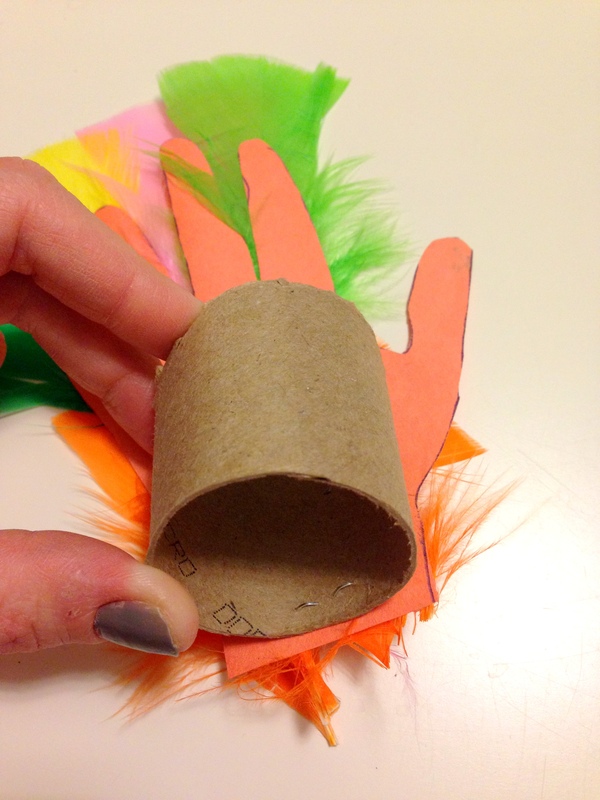 For this craft you’ll need construction paper, scissors, glue stick, feathers, 1/2 of a toilet paper roll, and the hand of your favorite toddler or baby. Trace your toddler’s hand and cut out. 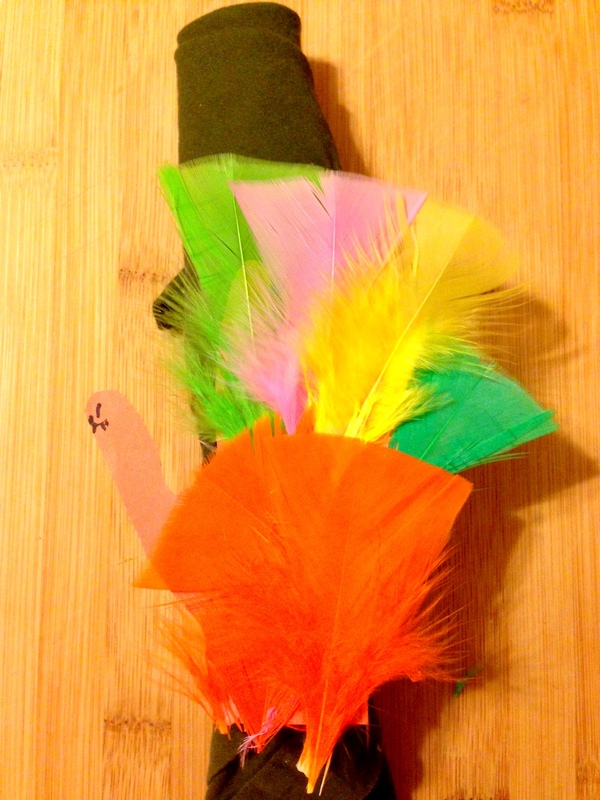 Decorate with feathers and don’t forget to draw a little face! Staple the 1/2 of a toilet paper roll to the back of the feathered hand. Voila! 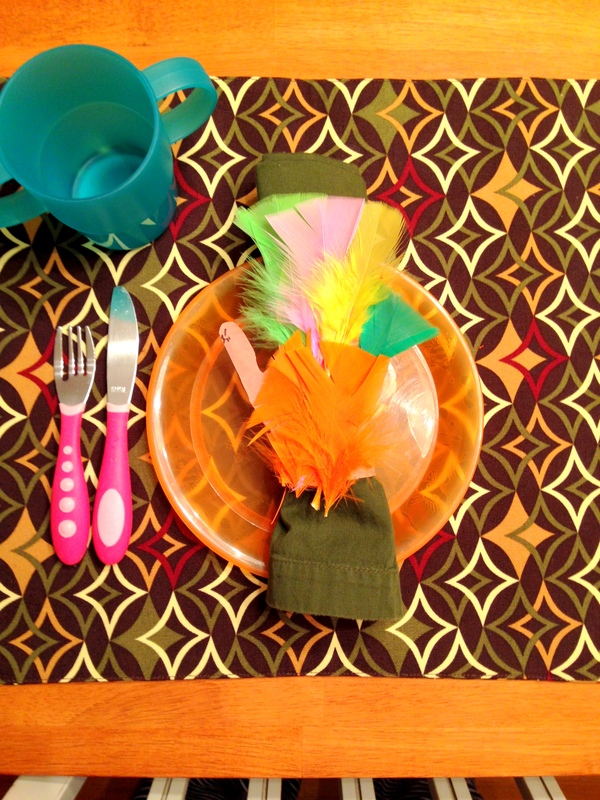 A napkin ring for your toddler’s place-setting at the Thanksgiving table. Gobble, gobble! 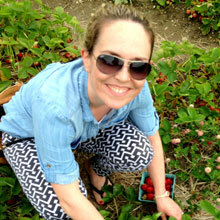 *Let me know if you’re interested in trying Baby Boot Camp – your first class is always free! 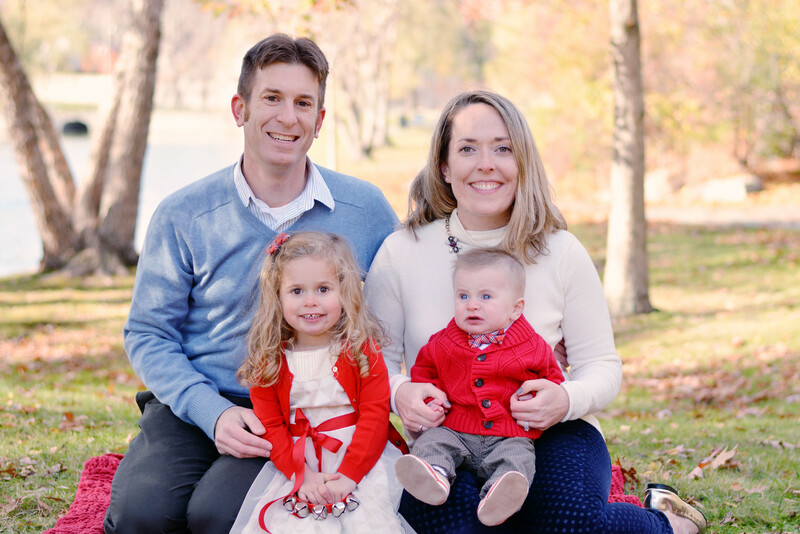 I got a couple emails asking about our outfits in the holiday photos I shared earlier this week so I thought I’d put together a post of what the kids wore. 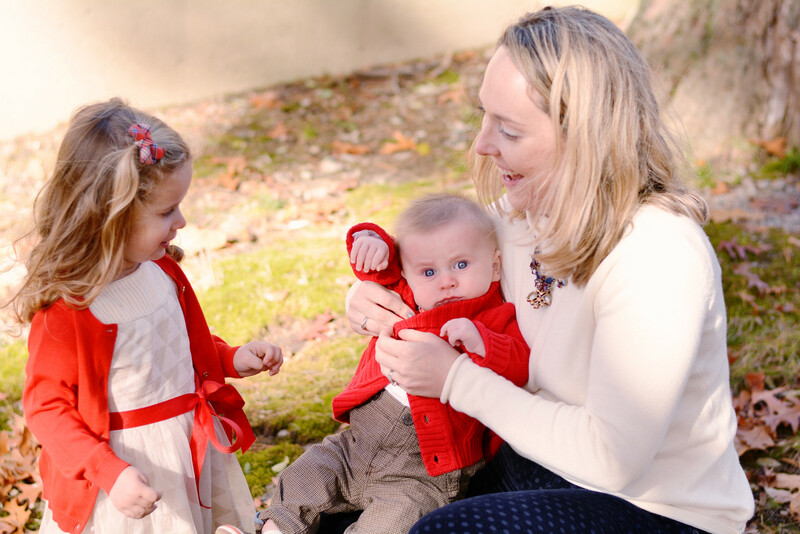 I always love to put together holiday outfits for Z and was so excited to now have Baby M this year and the challenge of finding coordinating outfits for them – not too matchy patchy but definitely meant to go together. The first step was finding Z’s dress. She is really into girlie, frilly dresses lately and when I saw this dress by Joyfolie on super clearance on Gilt (I got it for less than $10!) I knew that was her Christmas dress. 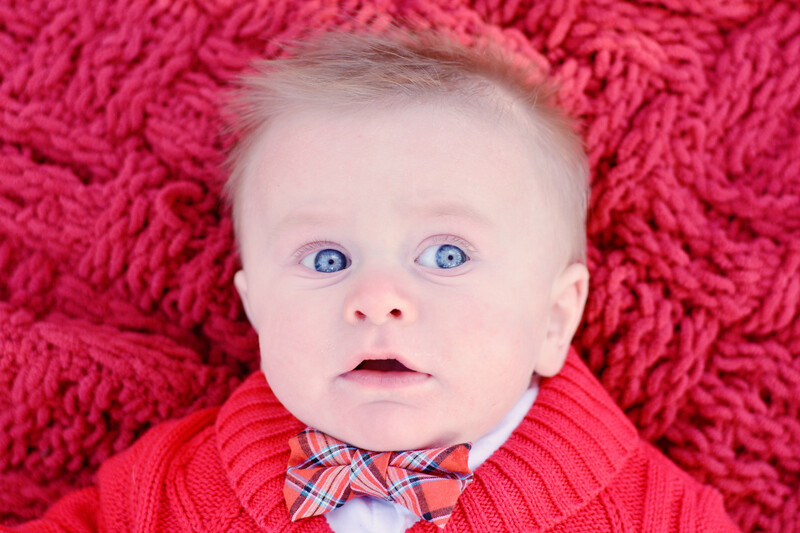 I also knew I wanted Baby M to be all gussied up in suspenders and a bowtie because, well, what’s cuter than that? So then I found this amazing woman on etsy who makes bows, bowties, and knits beautiful scarves (one of her scarves is definitely on my Christmas list this year!). I loved the tomato plaid for a pretty red and placed my order. 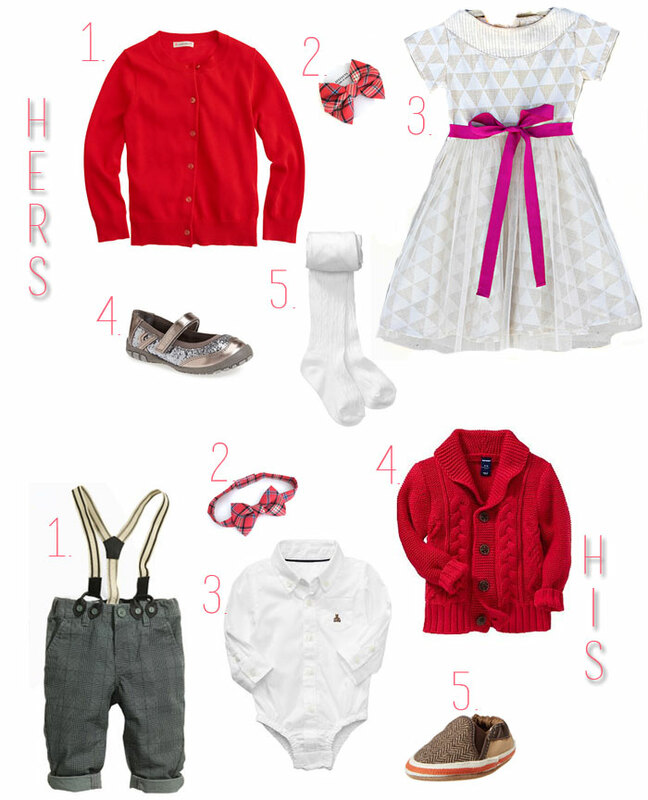 I changed out the pink ribbon for red on Z’s dress and then found red sweaters for them both. And well, you know the rest – you’ve seen the photos! Ps. Hover below for links! You probably know that, but thought I’d share as the linked words are not quite as obvious on my new blog design. 1. Red Cardigan crewcuts. 2. Hair bow Lululuvs etsy shop. 3. Dress Joyfolie (from Gilt). 4. Glittery shoes Nordstrom (very similar). 5. Cable knit tights Old Navy. 1. Pants with suspenders H&M (similar). 2. Bowtie Lululuvs etsy shop. 3. White Button down shirt babyGAP. 4. Shawl-Collar Red Cardigan Old Navy. 5. Herringbone Robeez Amazon (similar). The holidays are wonderful – seeing family, traveling (mostly long road trips), eating a lot of good food, having tons of plans! But they can also be really difficult for the exact same reasons. I put together a little list of some ideas for a Thanksgiving Survival Guide so you can hopefully stay a little more sane this holiday season. Enjoy and tell me how you survive! 1. The perfect Thanksgiving dinner centerpiece ideas from Better Homes and Gardens. 2. Lullabies for the kiddos to fall asleep to in the car that won’t drive you mental – we love Rockabye Baby‘s rendition of Coldplay (but they come in tons of artists). 3. Car travel games like SpotIt so everyone stays happy on the lonnnnng car rides. 4. 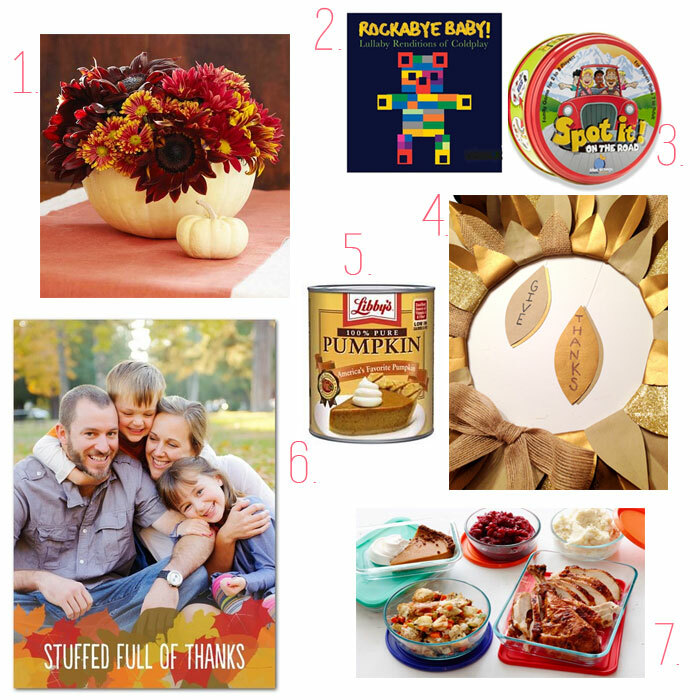 (Almost) Homemade Thanksgiving decor for your front door. 5. 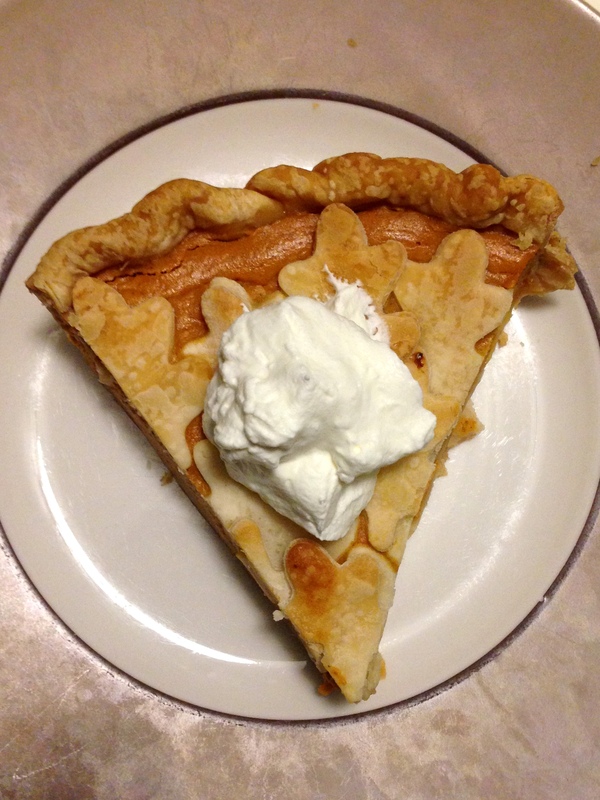 A great pumpkin pie recipe from good ‘ol Libby’s. 6. 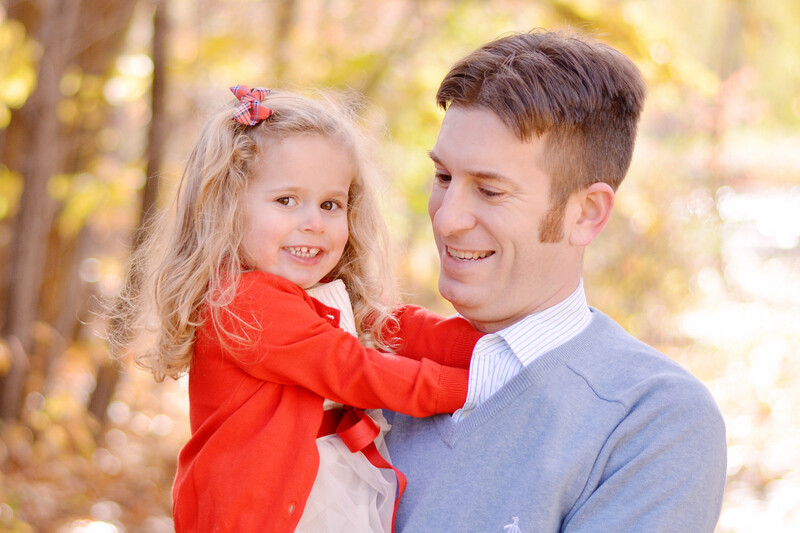 A unique card from Treat by Shutterfly to mail (or email!) to all those friends and family members you won’t be able to visit on Thanksgiving! Don’t forget WHY we’re all sitting down and eating turkey together, express your thanks to loved ones in a thoughtful, personalized card. 7. And last but not least… a list of recipes from the Food Network to use up those leftovers!